EIMAI-PEACEJAM GREECE, WINS THE 2016 BILLION ACTS OF PEACE, HERO AWARD FOR "UPCOMING CHANGEMAKERS"! 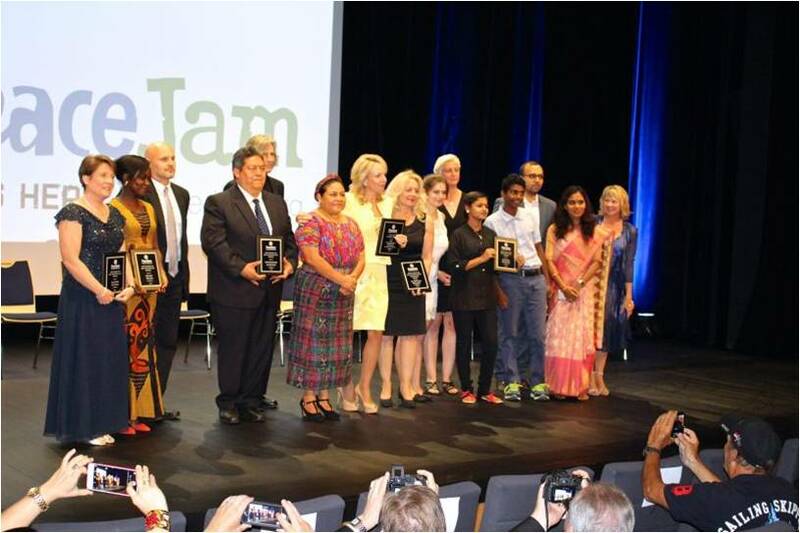 EIMAI-Center for Emerging Young Leaders and PeaceJam Greece receives the 2016 HERO AWARD as "Upcoming Changemakers" in Monaco, on June 13, 2016, by Nobel Laureate, Rigoberta Mechu Tum of Guatemala for initiating the "LIFEBAG PROJECT" - a schools project in Greece to support unaccompanied refugee youth. The "Billion Acts of Peace Campaign' awards 5 projects globally each year for contributing to positive change in the world. This year's recipients impacted communities in Greece, India, Columbia, Burkina Faso and Honduras. This Nobel Peace Laureate campaign has inspired more than 10 millions acts of service and social change around the world and aims to reach one billion by 2019!